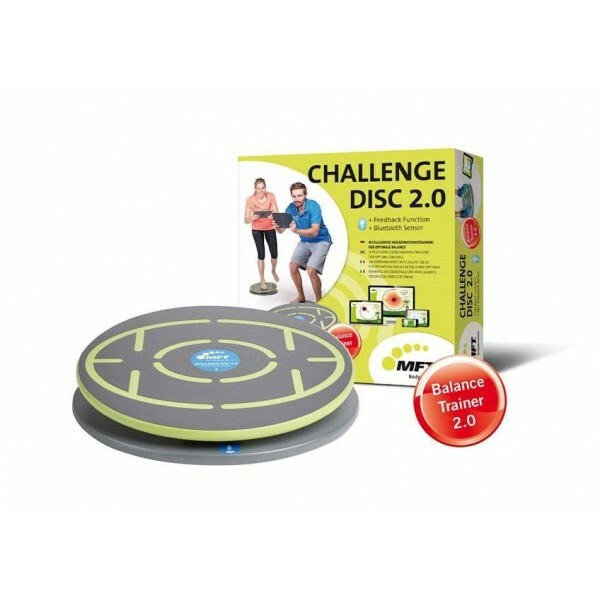 MFT Challenge Disc 2.0 - Now with Bluetooth sensor for wireless training freedom! Being equipped with a Bluetooth 4.0 sensor, the MFT balance board communicates wirelss with your mobile device or notebook (iOS-, MAC-, Android or Windows compatible). That avoids annoying cable mess and you benefit from a maximum training freedom. The Bluetooth sensor records your movements and transmits those. The MFT-App analyses your balance and gives a training recommendation, at which level you should start your training. The feedback function motivates to continue with the training and provides control over your training progress. Furthermore, you get training and therapy programmes and will be led to success by means of training games. 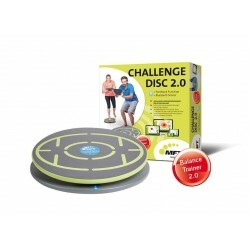 In combination with the MFT-App, the MFT Challenge Disc 2.0 with Bluetooth sensor develops into a real personal coach! MFT Challenge Disc 2.0 – Suitable for all ages and all fitness levels! From young to old, from fitness enthusiast to professional athlete - the MFT Challenge Disc offers a versatile use. Either for home fitness, fitness gyms or therapy, the exercising possibilities and the resulting training effects are almost infinite. A training of 10 to 30 minutes a day is already sufficient to achieve a noticeable success after few weeks. Benefit from an increase in performance in your personal type of sport, from the improvement of the coordinative skills, and from a training for a healthy back and healthy joints. You enjoy a completely new mobility and discover new possibilities regarding fall prevention. Since years, many professional athletes have been inspired by the MFT training devices and have benefited from a coordination training with these (athletes of the Campus Sport Tirol Innsbruck, the bikeacademy.com as well as athletes of the ÖSV, DSV, and Swiss Ski). Don't lose any time and invest in your health: Start the MFT self test and get to know more about your personal performance. By means of that one, you choose your personal training level and start with your coordination training!